Williams, one of North America's leading energy companies, owns and operates large-scale infrastructure that connects the continent's significant natural gas supplies to growing natural gas markets. To help manage its wide-reaching pipelines and processing stations, Williams reached out to Earth Analytic, Inc. (EAI), which specializes in scientifically based geospatial solutions for energy and conservation projects. EAI's SmartFootprint solution—which is integrated with ArcGIS for Server, ArcGIS for Desktop, and ArcGIS Online—provides Williams with custom tools and datasets. 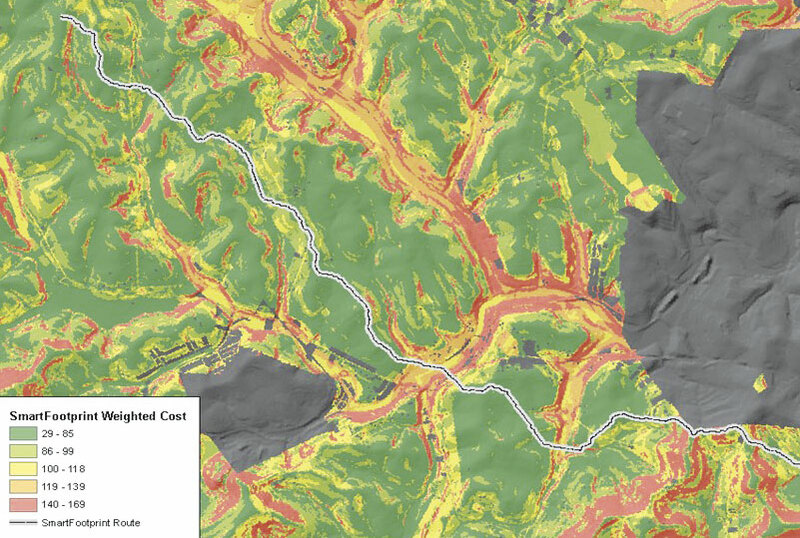 It analyzes variables such as environmental sensitivity, population density, geomorphology, hydrology, and landownership to create least-cost paths (routes that cost the least amount of money to develop) for energy transmission lines. Using the SmartFootprint tools in Williams' planning workflows has radically reduced the time it takes to put together a proposed route. Previously, planning a proposed 500-mile pipeline route could have required three to four months of staff time. But with the SmartFootprint Route Finder app, which uses custom cost surface datasets, staff time has been reduced to 18 hours. And the complete SmartFootprint solution enables Williams to calculate an optimal 100-mile route in approximately 20 minutes. It wasn't long until other teams within the city recognized the benefits of using Cartegraph's ArcGIS Identity and began to follow suit. Now, 10 of the city's 17 departments have made the move from a paper environment (in many cases) to a web-based operations management system that allows them to visualize data both in the office and out in the field. According to Andy Richter, the city's asset management supervisor, "Colorado Springs has seen a $2 million [return on investment] since implementing Cartegraph and ArcGIS. The city relies on the software integration when recovering from natural disasters, such as wildfires and flooding. Using the systems together, they can accurately track lost assets, calculate expenses, and justify the costs to FEMA for restitution." The software assists with citizen awareness as well. For example, Colorado Springs' Cone Zones program informs the public of roadwork in the area. 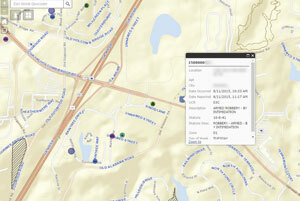 The data from these zones is fed directly into ArcGIS Online, populating a map for citizens to view on the Internet. "DDOT is challenged every day to identify changes in our road system and react quickly," reported José Colón, DDOT's chief information officer. "Each year, we're involved in helping plan and manage resources for some of the largest events in the [United States], including nearly 500 block parties, 400 TV and film permits, 20 marathons, and 60,000 public space permits." At the beginning of 2017, close to 1 million visitors are expected to descend on the US capital for the inauguration of the country's 45th president. Attendees will anticipate both convenience and security at the event. As usual, this will require DDOT to integrate dozens of data sources. But oftentimes, imagery is outdated. The City of Roswell, in the metro-Atlanta area, is ranked one of the safest cities in Georgia by SafeWise. Part of Roswell's safety plan is to ensure that its public safety agencies have access to effective and efficient data and analytics. The city connected with Geographic Technologies Group (GTG) to make sure this was happening. GTG conducted a needs assessment for the city, revealing that the GIS apps it used for policing needed enhancements. The company also developed an enterprise GIS strategy for Roswell. 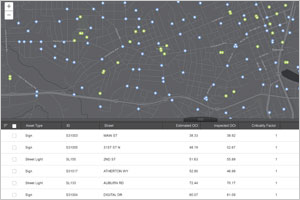 From there, Roswell became the first city to implement GTG's SafeCityGIS solution. 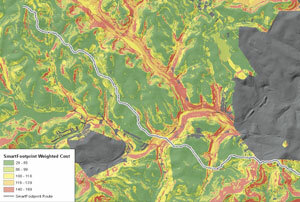 "Public safety agencies often adopt GIS tools that are insufficient, resulting in underuse and disappointment," said GTG president Curtis Hinton. 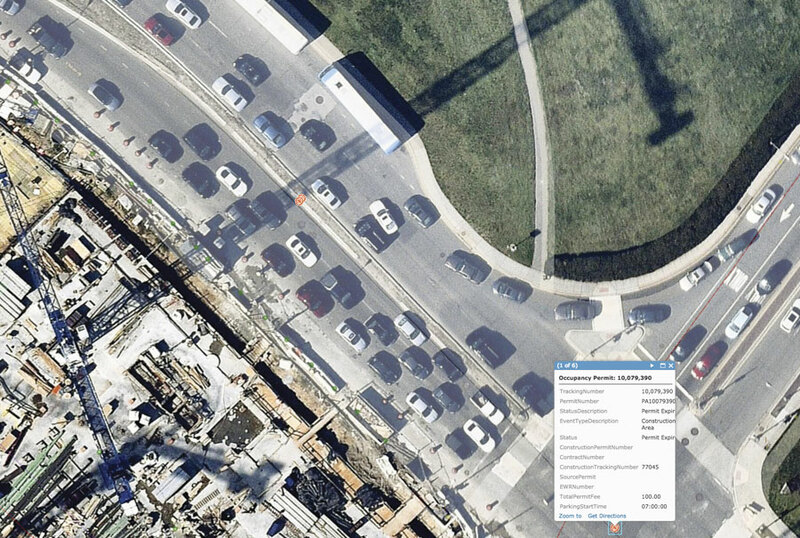 "GTG created SafeCityGIS to enable public safety agencies with an integrated suite—including GTG solutions combined with the ArcGIS platform—to serve the entire public safety organization with software that is intuitive and easy to use." 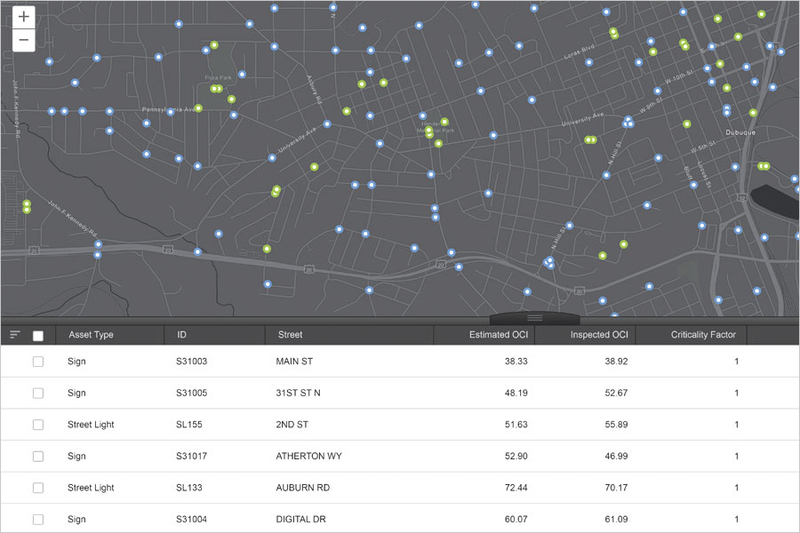 SafeCityGIS includes GTG's Vantage Points Public Safety Analyst (PSA), SafeCityGIS Mobile Viewer, and SafeCityGIS Dashboard. 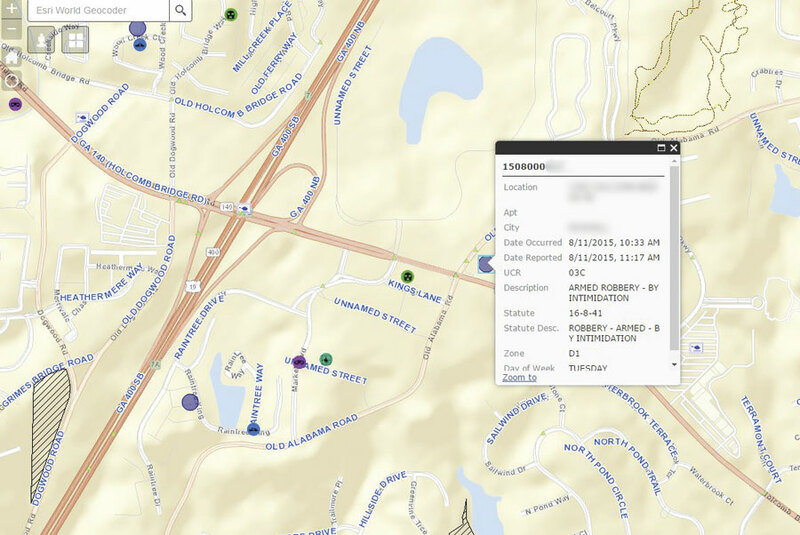 Together, these tools provide users with access to interactive maps, better crime data, incident tracking and trends, real-time location tracking, analytical tools, and an intuitive dashboard available to all levels of staff. 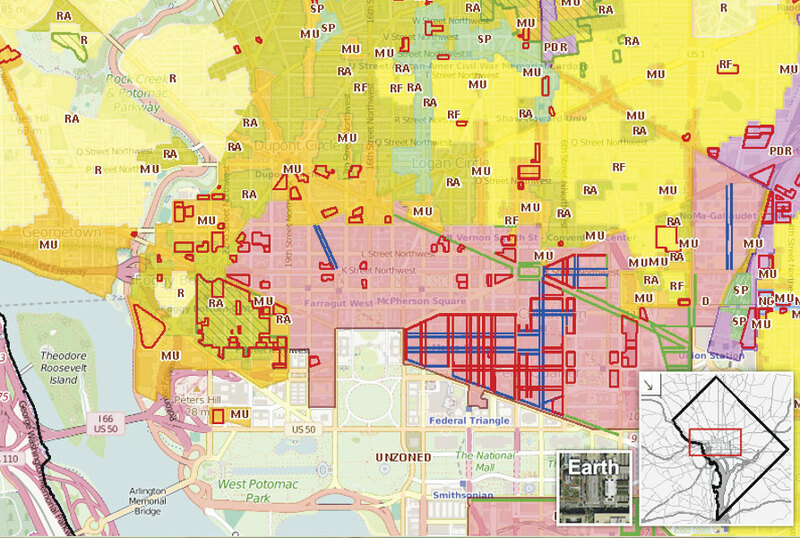 "The new ZR16 Zoning Map application and the Zoning Handbook are generating a greater active interest in zoning by presenting visual data and content in a clear and concise manner," said Nyambi A. Nyambi, chief technology officer for the District of Columbia Office of Zoning (DCOZ). "Blue Raster effectively worked to translate DCOZ's vision into an application we are all proud of." The new Zoning Map, which features responsive design for mobile devices, includes customized reports for zoning and planning information, high-resolution cartographic printing and documents, and open data from the capital city's Office of the Chief Technology Officer. 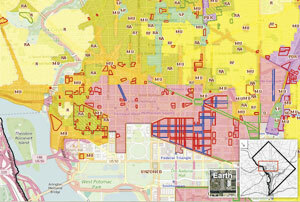 "The Zoning Map and Handbook help residents in the DC area understand and use the updated zoning regulations," said Anthony Puzzo, Esri's business development team lead for state government. "Blue Raster created an intuitive, interactive map app to make the vast amount of important zoning information that is associated with properties in this area more accessible." Esri's more than 2,200 global partners provide customer-focused, geoenabled solutions that span dozens of industries. Products and services range from configured apps and custom-built solutions to complete ArcGIS system implementations and content. To search and discover partners, solutions, and services that meet your needs, visit the Esri Partners page.